If i asked you now, could you name all the Planets in our Solar System? For some of us it's been QUITE some time since those early celestial science lessons .... Clearly i can name the Earth, Mars, Venus, Saturn, Jupiter and Pluto with no problem .... the others are a bit fuzzy .... checking on Google indicates that i have memory lapses when it comes to Mercury, Uranus, and Neptune .... and WHAT??? 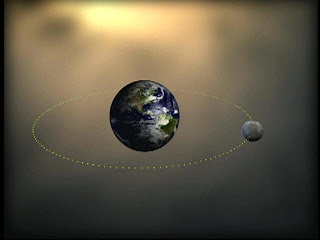 who KNEW that "they" have decided that Pluto is actually a "dwarf" planet and probably shouldn't be counted in the original 9 that i learned many, many years ago! Well, if Pluto's OUT, then i'd like to propose you add Planet Purl to your Scientific Data plan! One click here will take you to an interactive knitting site that has much to offer all that visit. 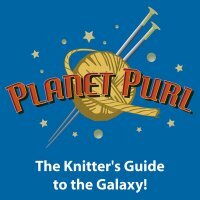 Planet Purl calls itself the "knitters guide to the galaxy" and is filled with FREE patterns, good self-help videos, and even offers free on-line classes via webcams and chats/discussion boards similar to Facebook or Google Chat forums. Planet Purl offers knit-a-longs and hosts special events to meet current pattern designers and catch glimpses of new knitting books hot off the press! There is a Yarn Directory for anything you may be looking for ... a General Store for all kinds of things that pertain to knitting ...Travel Directories and Knitting Communities that will answer questions and even provide a place to share projects you're working on. This is yet another fun site to add to your "favorites" list ... or sign up for their newsletter and then they'll come to you! One thing i've noticed since learning how to work my computer and maneuver around a bit on the Internet is the feeling of "connection" i have with someone simply because of this common bond of knitting. I have several "friends" that i check on regularly that i first "met" on Forums provided by Ravelry. These ladies share similar interests in knitting, family and faith. And through the exchange of emails we have become a bit more acquainted and discovered that distance doesn't diminish similarities. In fact, there are days when this "connection" is a bit empowering ... knowing that Pam, who lives in New Jersey, is knitting up a storm while i'm perched on my sofa and tootling around with a scarf, is encouraging to me. Jacqui's in North Carolina, runs her own restaurant and also coordinates one of the forums that i post on and that we do fun swaps on. She ALWAYS has a million things going, even if i am simply waltzing along with another washcloth! They are slam-packed BUSY .. i am Still ... and ... i am okay with it! Perhaps it's one of those 'season' things where the cold has inspired them. For me, i think i'm more in a hibernating mode and this seems to carry across to other areas of my life as well. There were days when i felt like i was in the Thick of things, steady busy and being used by the Lord, learning things, sharing things, going, going, going. And now .... it's a bit more like viewing Life from a Shelf! Simply sitting back and observing - - waiting - - listening - - relaxing - - trusting - - listening - - growing - - praying - - listening - - do you ever have those seasons? Finding myself perched on the shelf has afforded some much needed time, in the midst of the chaos around me, to regroup. Time to refocus. Time to renew and repair (and is IT the year of the PAIR in my book!) . . . In 2 Cor. 12:9, Paul writes "My grace is sufficient for you, for My power is made perfect in weakness. Therefore i will boast all the more gladly about my weaknesses, so that Christ's power may rest on me. That is why, for Christ's sake, i delight in weakness, in insults, in hardships, in persecutions, in difficulties. For when i am weak, then i am strong. Isa. 30:15 reminds me: In repentance and rest is your salvation, in quietness and trust is your strength. According to God, life isn't always about the next BIG Project in order for the day to be considered a Profitable one! The simple and steady act of garter stitch, knitting every row, every row, every row, is a lesson in obedience. There's not a need to spend countless hours scouring through books and yarn shops in search of the next truly magnificent Fair Isle Sweater to knit .... or measuring my day by the number of Cables that i knit! Learning to connect with my Father and simply sitting in the quiet and calm of His Presence is "TOPS" on my list .... Understanding that "Busy" does not equal "SUCCESS". Busy is often a blurry means of hiding those things that are lacking ..... Allowing the Calm and Quiet to expose the Truth is the place i'm longing for ... to be a Moon that simply revolves around the Son .... THAT's the science lesson and location for me! Ps. 46:10 ... Be still ... and KNOW that I AM God! it's been a LOOOONG week . .
let me introduce you . . Your Ribs are Showing . .
a kiss is just a kiss . .
learning yet ANOTHER way . . I remember when . . .
Making a List . . Knitting it Twice . .
Confessions from the Knitting Bag . . .
are you a Runway Knitter?